This light, heart-healthy oil is made from 100% California Olives and infused with cold pressed Meyer Lemons. It is without flavorings or extracts, nothing is in the bottle other than first class olives and Meyer lemons! 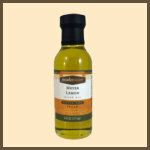 Our Meyer Lemon Extra Virgin Olive Oil is wonderful simply drizzled over pasta or grilled asparagus. You can brush it on chicken or fish before cooking or sauté your favorite vegetables with it. Here is a fun idea: Substitute our Meyer Lemon Oil for regular oil when baking cakes and cookies for an extra and lovely subtle lemon flavor! Meyer Lemon Oil with shrimp!! Your products are delicious! Shrimp sauted in Meyer Lemon oil & garlic is yummy! My husband has fallen in love with the Meyer Lemon oil. He drizzles it on everything, including asparagus....out of this world! I put this on everything edible! The aroma is so rich, pungent, pure, and satisfying -- I can't get enough of it! This light, heart-healthy citrus oil is made from 100% California olives and infused with cold-pressed Meyer Lemons. 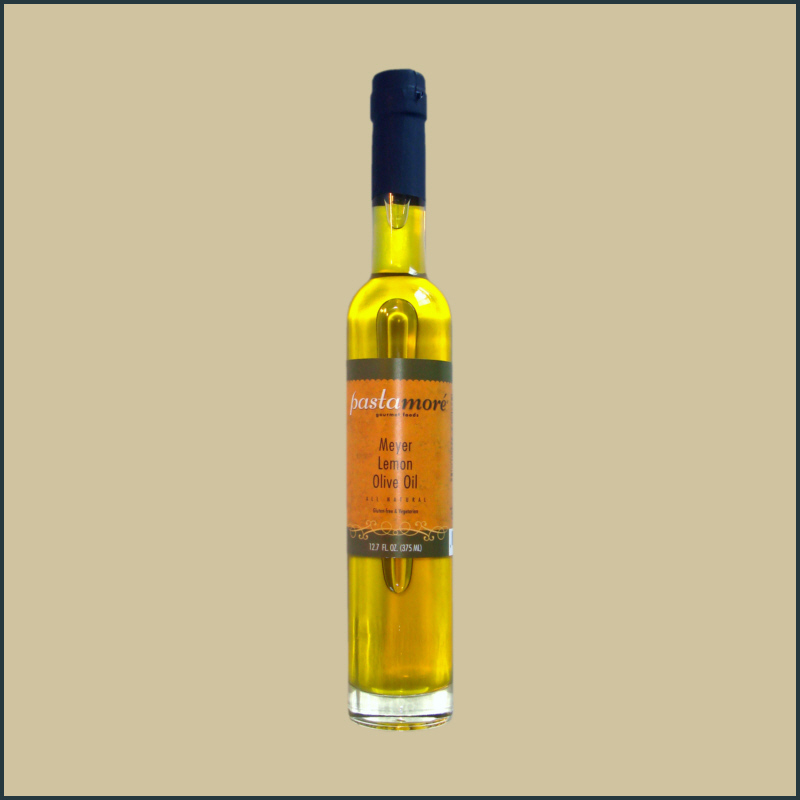 It is without flavorings or extracts, nothing is in the bottle other than best quality olives and Meyer lemons!